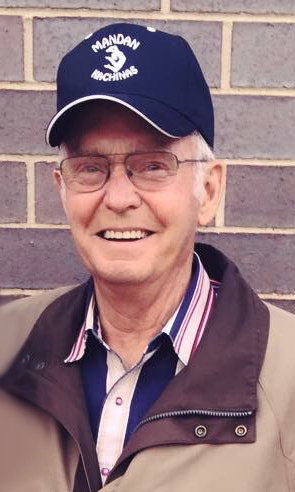 Stanley S. Gerhardt, 80, Mandan, passed away November 24, 2018, at his residence in Mandan. Mass of Christian Burial will be held at 10:30 a.m. on Wednesday, November 28, 2018, at St. Joseph Catholic Church, Mandan, ND with Rev. Jarad Wolf as celebrant. Burial will be at Mandan Union Cemetery. Visitation will be held Tuesday, November 27, 2018, from 5:00-7:00 p.m. at Weigel Funeral Home, with a Rosary/Parish Vigil at 7:00 p.m. Visitation will continue at the church one hour prior to the service on Tuesday. Stanley Gerhardt was born June 18, 1938, in Mandan to William and Elizabeth (Vogel) Gerhardt. He was raised and educated in the Flasher area. He married Lorraine Hatzenbuehler on June 10, 1958, in Mandan. Stanley was a very hard worker having learned while working on a farm. He was a very outgoing person and was a jokester. Stanley was a generous soul and would help anyone. He loved camping, fishing, and hunting. He belonged to Teamsters Union. His greatest pride was his children and grandchildren. He’ll be remembered for his grace and sweet disposition, the love of people, and life, which stayed with him until the end. Stanley will be deeply missed by his wife, Lorraine; daughter Tammy (Cliff) Zearley, Mandan; son, Jeff Gerhardt, Mandan; grandchildren, Austyn Bruington (special friend Jon Dobier), Tucker Bruington (special friend Ashlynn Munyer); great step-grandchildren, Karson and Jonathon; sister, Irene Muth, Portland, OR. Stanley was preceded in death by his parents; sisters, Eva (John) Swanson, Rose (Carl) Landwall, Eleanore (Ervin) Stein; brothers, Matt (Margaret) Gerhardt, Val (Vi) Gerhardt; and brother-in-law, Clarence Muth. Go to Stan's tribute wall to sign the online guestbook, view tribute photos, and share your memories with his family.